that everything I experience is for my own growth. because I become more wise in the process. We are here to learn. If you are still here, your purpose is not complete. Fazlyn has been a close friend for many years, in that time i have learnt so much from her and about her. She is an inspirational person, uplifting individuals who come into her ambit. Fazlyn is committed to her healing practices personally and professionally, her clients are a foremost priority in her life. She has an innate ability to both heal and motivate at the same time. This is highly valued in her field as Healer, as she can facilitate the healing process in her clients and arouse in them the ability to want to heal themselves. Long term this is a very useful skill as health is a continuous life process, it is not a static nor fixed. Hence in approaching challenging health issues, Fazlyn as a healer can both Heal and teach how to heal. Education is very close to her heart, as she does her level best when running classes and when seeing clients. Her infectious enthusiasm inspires her students and clients alike. I can enumerate many reasons about why Fazlyn is a good Healer, however that is only one part of her character. Being a Life Coach also assists her to guide her clients and students as to what approach may work best for them. She embodies many positive characteristics including being a person that lives what she speaks about. This quality including her kindness and compassion has served her well in her life. She engages in the service of many less fortunate and this thread runs strongly in her life. Another outstanding facet in her life is the profound ability to be non-judgemental. In this world of judgement, this open hearted and open minded approach to healing and teaching is refreshing. Fazlyn tries always to walk her talk and she is a wonderful example to many in her life including me. In the short yet fortunate period that I have known Fazlyn, I can honestly say we have among us a ‘wise one’. Fazlyn Govender is not only a deep sea of knowledge but also an extraordinarily intuitive and well guided healer. Coupled with her admirable qualities such as being understanding, kind, loving, supportive, sensitive and assertive she also stands out as an exceptional leader. She has an uncompromising adherence to the code of morality i.e. utter sincerity, honest, candour and avoidance of deception and the like, a methodical person, well organized and can adapt to any situation quickly and easily. She is confident in coping with any task and a person of high ethical and professional standards. She holds in high regard the greater Truths of our existence which I believe she continually strives to uphold. I am not the first and won’t be the last to share such sentiments about Fazlyn. As her client, co-energy worker and most importantly, a friend, I wish her the most fulfilling journey in Love and Light. As a Healer Fazlyn creates a space of trust, understanding and honouring of oneself. This allows you to grow into awareness and closer to living your higher purpose. Her insightful reflection along with healing therapies allows you to begin to see, appreciate and love your authentic self. In this day and age where we are faced with so many trials and tribulations, she helps one to ground yourself in the truth of who you are. She helped my daughters gain insight into their unique contribution to this world – helping them develop love and tolerant respect for their being. This was so important for my teenagers to experience in the difficult times they were facing. If you are brave enough to be honest with yourself and truly feel alive- I would recommend Fazlyn to help take you through the challenge toward healing and growth. To those of you who are reading this, welcome. This is the beginning of an amazing and life changing experience. I first met Fazlyn when she was facilitating a Reiki Level 1 training course. My first impressions of her: Warm, caring and someone who would listen without judgement (For me this aspect was vitally important). It was only months later when my life was at breaking point (It had to get to this point before I asked for help!!) that I got out my Reiki training booklet and contacted her. I had NO idea what was in store for me but I knew I was in good hands. 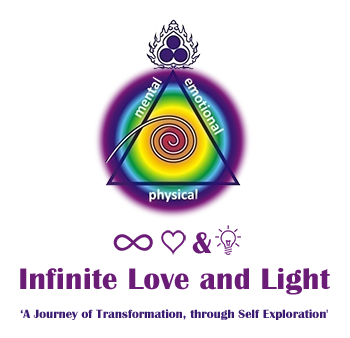 My first session was…out of this world…INCREDIBLE…transformational. Over the course of about 4-5 sessions ONLY…using several different therapies (Huana, Coaching and Crystals amongst them) Fazlyn has guided me to understand and clear a lot of the frustration and anger that was invading my life. She takes the time to listen and genuinely cares about you and your spiritual growth and has jump started mine in a big way. I cannot thank her enough. I was feeling run down and stressed. My job causes me to have a lot of anxiety. I was looking for a way to calm and center myself. I had been researching Reiki for awhile. In January 2015, last year I finally had the courage to try it. My session with Fazlyn was amazing! Instead of doing Reiki she did something called Huana Crystal Signatures that includes body work, crystal therapy and Reiki. She made me feel at ease. After my session I felt so revived. I felt lighter and renewed. Now I look forward to my sessions. I would recommend this to anyone. Even if you aren’t sure just give it a try, you have nothing to lose. My only complaint is that I can’t go everyday! When I went to Fazlyn, all I wanted was someone with the best of both worlds which meant being in sync with nature and practically know what they are doing. I didn’t understand what my problem really was but I knew it wasn’t out there but somewhere inside me. After getting some therapy and massage (Huana Crystal Signatures) it was like opening the door which I was struggling to open all my life – where there is love, peace, humility and strength and my life has never been the same ever since. Fazlyn offers a pure, obligation free experience, using a handful of renowned techniques and mastery, of a journey into your material, mental and spiritual being. 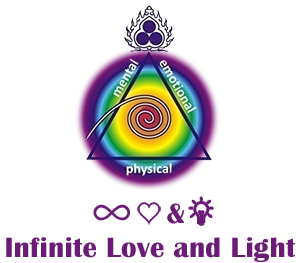 She is accurate in assessing the current state of our realm with a supportive and consultant approach towards acceptance of your state and a truthful sense of partnership between herself as the coach/healer and the participant towards balancing and healing. She is patient but passionate with each consultation. We have had a few sessions with Fazlyn for a variety of issues – all of which showed an improvement after the first session. She was our last resort and we would have saved ourselves a lot of time, money and pain had we gone to her first. She is down to earth and has a genuine need to help people and she does this over a wide range of disciplines. We appreciate all that she has done for us and would definitely recommend her. At a time of great transition Fazlyn supported me emotionally and physically with her great gifts of healing and compassion. She has allowed me through her work to be at one again with myself and the Universe. I am so truly blessed that she has been part of my healing journey. I thank you from the bottom of my heart and may you be blessed always for the amazing work you do! I had been battling for many years with a stress related disorder and could not find relief from any allopathic treatment. After a consultation with Fazlyn I was able to receive proper treatment for the source of my condition, instead of just the symptoms as was the case with previous allopathic practitioners. Through the process I was able to heal myself. I would highly recommend Fazlyn’s powerful, professional, natural, therapeutic healing techniques. I had first interacted with Fazlyn in December 2014 at a time when I was experiencing severe emotional turmoil in my life, as my marriage of 20years was coming to an end. The majority of the 20 year period of my marriage was difficult. Prior to this I had been a single parent as we had separated for awhile but reconciled. Now once again I was becoming a single parent. I was so impressed by the level of empathy and comfort received from my first discussion with Fazlyn. My son and I had consultations with Fazlyn and received the necessary healing sessions identified during the consultation. Fazlyn is extremely understanding and professional in her interactions with her clients. Both my son and I have made excellent progress in terms of internal healing, as well as letting go emotionally. My son also had the additional challenges of a deteriorating school performance and being unable to focus on the tasks at hand. We have both been progressing well and we extremely grateful for the support and assistance offered by Fazlyn. She is extremely knowledgeable in her field of expertise and took the time to ensure that she explained the processes involved in us being able to heal. The facility where she practices from is beautifully designed and is extremely conducive to providing healing support to those in need. I have absolutely no reservations about recommending the services offered by Fazlyn at the Universal Centre of Love and Light! When I came to see Fazlyn I was going through depression as I had lost my only son two years ago and fifteen years prior to that my husband, at age 34. I found it difficult to get up and continue – missing him all the time. Asking why him, why so young – he was only 25? The emptiness inside was unbearable – feeling him close but realising he is no more… I child shouldn’t have to die before their parents, but this was my reality and he was my only child. I am now all alone! After I had the first session with Fazlyn I could already feel a difference. My energy returned and I felt I could get up in the mornings. Her being able to relate to this as she had lost her mum when she was 10yrs old helped me feel a sense of connection. I realised it was Ok to mourn and that there is no time-limit to this, to be at peace with what I was feeling. As we worked, the session seem to lift the depression – making me feel better, calm, peaceful and to realise that death is not the end. One day during my second and last session I had a memory of a message I had long forgotten. A message I had received when I was desperate to conceive. ‘That this child would be temporary and when it was the right time – he would need to leave…’ When I recalled this it was my Aha moment. I still miss him and that will never change, but I have found solace in this memory. That all is in God’s time. I am grateful to Fazlyn for the patience in working through this and holding that safe space for me. Working the emotions out of the body on the various levels and helping me to find my peace. My experience with Fazlyn Govender has been extremely eye opening. I had no prior exposure to Reiki, Crystal Healing, or even Kinesiology before meeting her. I did not believe in energies and holistic healing before setting foot on her premises. This will be my 6th year with her… needless to say… I believe. She has helped me in more ways than I can describe… and not just because she’s good at it, but also because it’s a calling for her and more importantly, she wants to give back. She is the only person I know, who charges by the hour but does not charge by the hour. (I usually tell her she’s undercharging me.) That’s how uninterested she is in the financial gains. She is a healer in the truest sense. I have been going through a very difficult divorce, something that I did not want. Naturally, I was in a very mixed-up frame of mind, having to deal with life changing issues. Fazlyn and I made contact some time last year, and she explained how she can help if I ever needed her. At that time I was not interested in “alternate” healing. After 2 months had passed, she had called me on my wedding anniversary (well, what would have been), and at that time I was very willing to seek her assistance, as I had reached rock bottom. I had been very hurt, angry, emotionally erratic, and I could not do this anymore as I had 2 young sons to take care of. I decided to pull myself together and get help. I had tried traditional counselling and it did not heal me as a person, it revolved around surface issues and did not go deeper to find out the root cause. Anyway, I have been seeing Fazlyn over 3 months, once a week, and I can confidently say that I am a changed person because of her healing. Each session was so therapeutic and gave me the answers I needed. Some of the issues surfaced from my childhood, background, and relationships that I had experienced as an adult. And as a result of these experiences, my past behaviours impacted my present interactions with people. I am now fully aware of myself and how I handle life issues and relationships, and how I communicate with people. It has given me the tools to overcome my current distressful situation and focus my energy on the positive aspects of life and make a happier future for myself and my children. I am grateful to have a special angel in my life called Fazlyn….. I was diagnosed with kidney stones in my bladder in February 2012 and underwent a laser operation to remove the stones. However, the stones had built up over the years to about a centimeter in diameter and the Urologist could only remove half of the stones. I had to undergo another operation in three weeks time to remove the remainder of the kidney stones. However, as I had an overseas work trip scheduled they inserted a stent between my left kidney and my bladder which I had to walk with for two weeks. Fazlyn did a couple of healing sessions on me, we looked at the mind, body connection and she suggested I look at my diet. I went overseas for a week in March and on my return I went to my Urologist, who after doing the scan noticed that the kidney stones had completely vanished. What a relief! My sincere gratitude to Fazlyn for her healing and guidance. I changed my eating habits and diet and have not had kidney stones since. For a very long time I was looking for a way to give back to society and myself. I was looking for my life purpose, what is my reason for being here on earth. As time passed by, it became an obsession to make a drastic change in my life because I felt I was not synchronized with my body. One day I saw the advert in the Laudium Sun newspaper about a Reiki course. For a while it stayed in my head to find out more as to what Reiki is all about. I’d done some reading about Reiki and decided to register for the course. On the first day I met the Reiki Master Teacher Fazlyn Govender and my fellow colleagues I was surprised when I saw that I was the only male between four females. To my own amazement it went very well from the beginning. I felt very comfortable with my fellow colleagues and teacher. I realized also that I am here for a very specific reason and I am ready for what is to come. As the course progressed, I learnt more and more about the person “ME”. It is as if I never really met myself. Fazlyn had a very specific way to make you see yourself in the Reiki manual. Reiki opened another world for me, a world that shows how special a human is! I found my life purpose, how to heal other people and myself and learnt how to better myself in every aspect. How amazing, Fazlyn opened a door for us, a door that we didn’t even know existed! Thanks to Fazlyn and her special way of teaching, her way to put her thoughts on paper, the special way she planned the course and with all her knowledge it could only be a huge success. We came out better people and she prepared us to grow in every aspect of life. I am a physiotherapist by profession and often I can help my patient’s to a certain point and then treatment reaches a plateau. 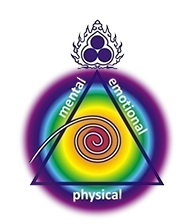 I have studied Cranio Sacral therapy and so I was aware of energy blockages and the whole concept of mental causes and physical illnesses and manifestation. I needed a tool to bridge the two and in Reiki I found this. For me personally, I realized that healing begins with one’s self. Reiki taught me this. It has honestly been an eye-opener and an amazing journey of self-discovery. The course content was excellent. It included a lot of information needed when you begin the practical aspect. A lot of tips and tricks and guidelines on how to tie things together so it makes sense to especially someone who is learning and experiencing it for the first time. It introduced us to the world of crystals, colour therapy, sound and made me aware of how much natural healing is available to us. It has helped me in dealing with a lot of personal issues which we sometimes refuse to admit to ourselves. Fazlyn Govender, as a teacher was phenomenal! Her vast knowledge and different skills opened our eyes up to a whole new world. Her classes came from her heart and her very personal and practical experiences which she shared with us. 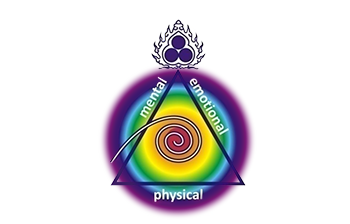 This made it so much easier for us to understand and appreciate this new found world of Reiki for us. Thanking you in love and light.